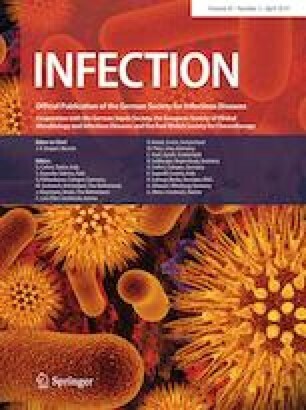 Staphylococcus aureus frequently causes infections in outpatient and hospital settings and can present as a highly variable entity. Typical manifestations are endocarditis, osteoarticular infections or infection of implanted prostheses, intravascular devices or foreign bodies. A thorough diagnostic evaluation with early focus identification is mandatory to improve patient outcome. We report a case of a 68-year old patient with a history of double allogeneic stem cell transplant for acute myeloid leukemia who developed a S. aureus bacteremia with dissemination, severe sepsis and lethal outcome due to nasal handkerchief packing after nose bleeding. A thorough medical examination with further diagnostic work-up is most important in S. aureus blood stream infection to identify and eradicate the portal(s) of entry, to rule out endocarditis, to search for spinal abscesses, osteomyelitis or spondylodiscitis. Adherence to management guides for clinicians must be of major importance to achieve optimal quality of clinical care, and thus improve patient outcome. The online version of this article ( https://doi.org/10.1007/s15010-018-1221-6) contains supplementary material, which is available to authorized users. For this publication written approval was obtained from the patient’s wife and attorney regarding his case report to appear in publications in any media worldwide. We thank the patient and his family for providing private photographs during the development of the disease at the outpatient setting and for allowing us to publish the case for educational purposes. Facial photo deidentification was performed by the treating physician according to Roberts’ and colleagues’ Standardization of Guidelines for Patient Photograph Deidentification to ensure the patient’s anonymity . Laboratory results in full text were converted by use of the SI Conversion Calculator by the American Medical Association http://www.amamanualofstyle.com/page/si-conversion-calculator. Accessed April 5th, 2018. PK reports non-financial support from Merck/MSD, non-financial support from MedImmune, and lecture honoraria from Astellas outside the submitted work. NJ received lecture fees from Labor Stein, Novartis, Gilead, MSD, Infectopharm and travel grants from Novartis, Pfizer, Astellas, Basilea, Gilead. MK declares no potential conflict of interest in regard to this work. PL declares no potential conflict of interest in regard to this work. ASV declares no potential conflict of interest in regard to this work. BB declares no potential conflict of interest in regard to this work.